Three main nuclear players of Asia: China, India and Pakistan have established “triangular” dilemma due to their security concerns. This is manifested through the development of advanced conventional and nuclear weapon forces. 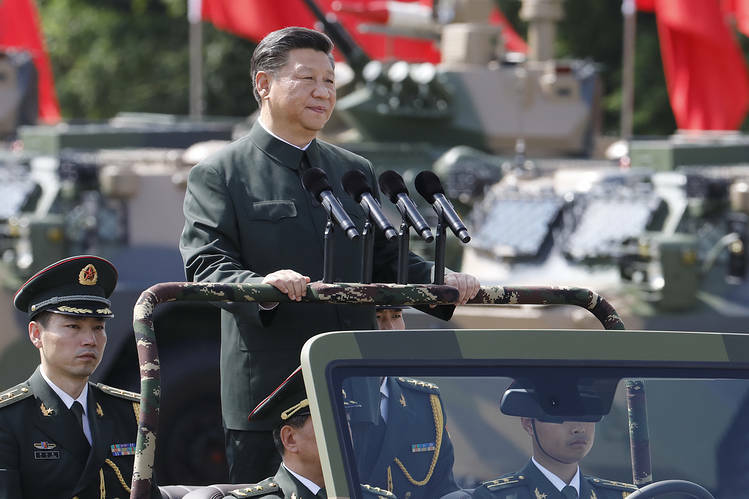 China is pursuing military modernization program to counter US in Asia-Pacific region, whereas India’s development of sophisticated strategic forces is aimed towards China and Pakistan. India’s acquisition and development of such deterrent of conventional and nuclear forces is a matter of concern for Pakistan and Chinese security planners. In response, it is inevitable for Pakistan to take measures for its security and safety. 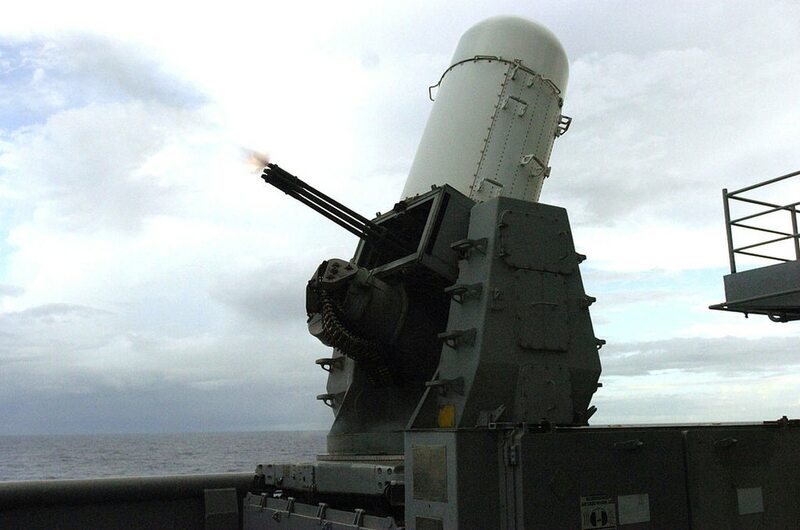 Since the early 2000s, the BrahMos missile system has made India’s military arsenal a formidable one. A product of a joint Indo-Russian initiative, the weapon allows India to deliver a payload at Mach 2.8 to 3 velocity from 300 to 400 kilometers away. In fact, it is considered to be the world’s fastest supersonic cruise missile. India’s current inventory includes land, air, ship, and submarine-launched variants of BrahMos, which has, to this point, been classified as a conventional missile by the U.S. Naval Air and Space Intelligence Center (NASIC). 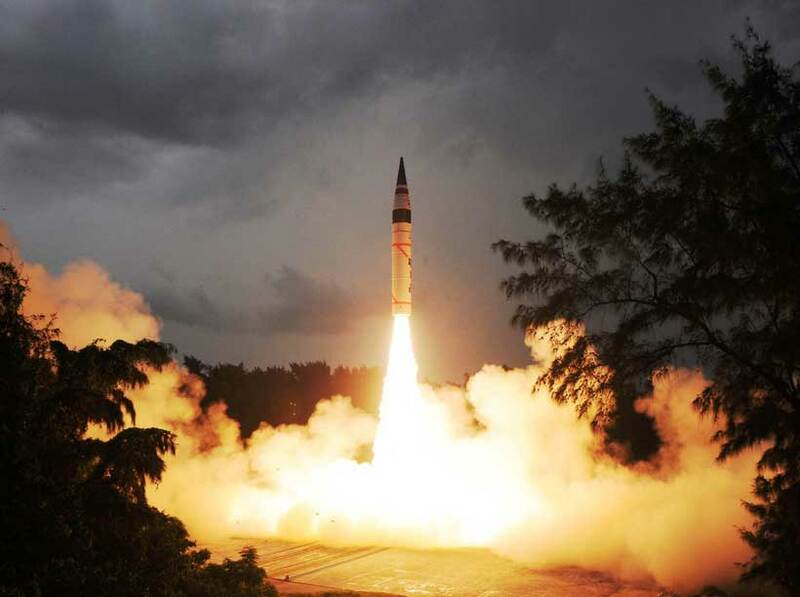 Given the nuclear capabilities of China, along with the technological feasibility of delivering a nuclear warhead with the weapon system, it is likely that India will add a nuclear capability to BrahMos to fulfill its deterrence requirements against China. 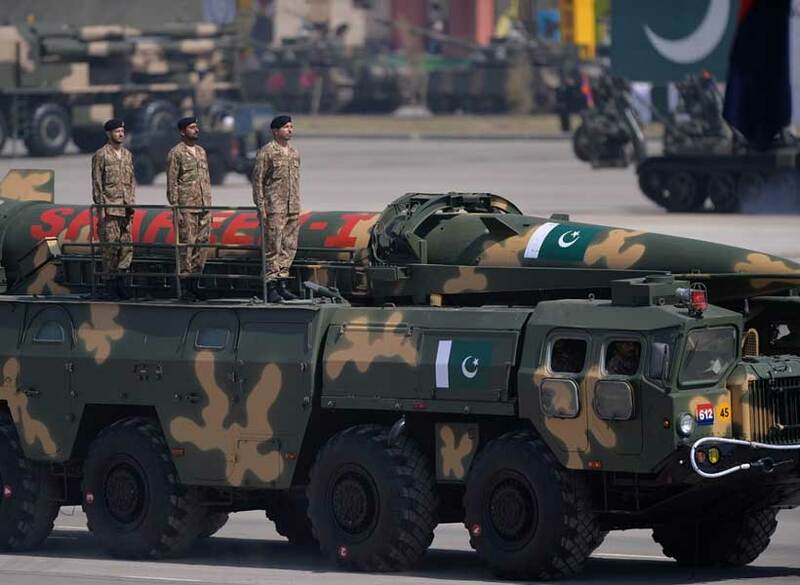 In turn, Pakistan may perceive this development as an Indian attempt to pursue a counterforce strategy, which could then motivate Pakistan to move towards a state of ready deterrence. There is this “Akram Raja Conference Room” at Pakistan Military Academy, Kakul. It’s a place of significance as it’s here the assessment abilities of a Platoon Commander (one prestigious and pivotal appointment at the Academy) get questioned and judged twice in every training term (that would be every three months on the calendar). Academy follows a typical grading system and a Platoon Commander has to prove his objectivity and impartiality in the assessment of his cadets (and I assure you it’s one huge task). Coming back to Akram Raja Conference Room, it was named after Lieutenant Colonel Akram Raja Shaheed, Hilal e Jurrat (the second highest award for gallantry in Armed Forces, succeeding only Nishan e Haider). The officer was bestowed upon the award to honor his shahadat while leading his battalion in attack during 1971 Indo-Pak war. He led the unit in the battlefield, he had raised as Commanding Officer the same year, 35th Battalion The Frontier Force Regiment, “The Charging Bulls”. Since its inception Pakistan’s nuclear program became a victim of nuclear apartheid, even though the acquisition of nuclear technology for not only peaceful purposes but for security purposes is the inalienable right of states.It’s worth mentioning that Pakistan in its attempt to acquire mastery in nuclear fuel cycle never violated any bilateral or international agreement/treaty, unlike its regional nuclear counterpart, India. Even then Pakistan’s nuclear program has always been termed as stereotyped, as ‘Islamic Bomb’ or ‘fastest growing nuclear weapons program’. A BBC interview with the boss of Pakistan's leading English-language newspaper has stirred controversy a week before national elections. 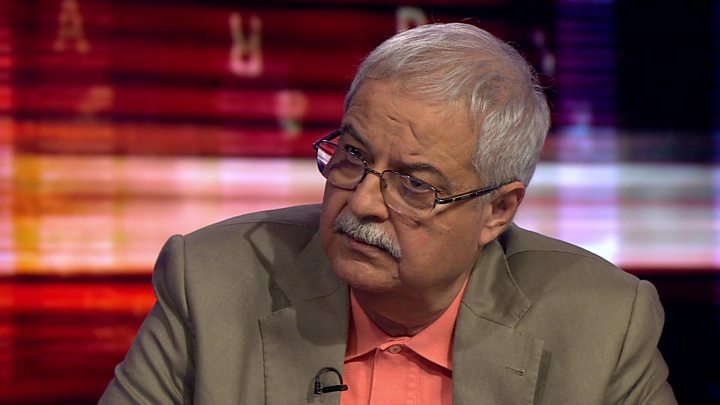 Hameed Haroon, CEO of the Dawn Media Group, accused the security establishment of interfering in politics, including in favour of former cricketer Imran Khan and his PTI party. But the HARDtalk interview prompted claims that Mr Haroon and his newspaper were biased in favour of ex-PM and rival to Mr Khan, Nawaz Sharif. Others criticised his lack of evidence against the military. Dawn is among newspapers that have faced censorship and intimidation ahead of the 25 July vote. China has become a global leader in policy and diplomacy on limiting the effects of climate change, but it still needs to take significant steps to curb its own carbon dioxide emissions, according to a report released on Thursday. The report, written by David Sandalow, a former United States energy official now at Columbia University, takes a broad look at emissions and coal use in 2017 in China, which is by far the world’s top emitter of the heat-trapping gases that accelerate climate change. The study also analyses recent policy moves on climate by the country’s government and by the Communist Party. China has wide-ranging climate policies, enshrined in the national Five-Year Plans and in blueprints at provincial and local levels. As a result, the report says, it is on its way to meeting major climate change goals, including lowering a measure known as carbon intensity, having carbon dioxide emissions reach a peak no later than 2030 and having a fifth of energy come from non-fossil-fuel sources by that year. Two years after an international tribunal rejected expansive Chinese claims to the South China Sea, Beijing is consolidating control over the area and its resources. While the U.S. defends the right to freedom of navigation, it has failed to support the rights of neighboring countries under the tribunal’s ruling. As a result, Southeast Asian countries are bowing to Beijing’s demands. The tribunal’s main significance was to clarify resource rights. It ruled that China cannot claim historic rights to resources in waters within the 200-nautical-mile exclusive economic zone of other coastal states. It also clarified that none of the land features claimed by China in the Spratlys, in the southern part of the South China Sea, generate an exclusive economic zone. As a regular visitor to China, I was surprised earlier this year when I heard for the first time a Chinese official refer to his country as a superpower (chaoji daguo). But China’s view of its place in the international order is changing quickly. In a little-noticed speech last month, before a packed house of China’s senior foreign policy officials and scholars, President Xi Jinping put the world on notice: China has its own ideas about how the world should be run and is prepared, as he put it, to “lead in the reform of global governance.” Gone is the era of Deng Xiaoping, who called China “a large developing country” and insisted that the country maintain a low profile in foreign policy. These days one seldom even hears officials mention the motto of Mr. Xi’s immediate predecessor, Hu Jintao, who described China as “peacefully rising.” Mr. Xi has made clear that he aims to create a new geostrategic landscape. Although President Donald Trump has taken credit for the defeat of the Islamic State of Iraq and Syria (ISIS) in its self-proclaimed capitals in Mosul, Iraq, and Raqqa, Syria, he has wisely refrained from declaring overall victory. However, the Trump Administration’s recent policies risk making victory over ISIS and its ideology of Salafi-jihadism nearly impossible. The U.S.-led coalition's routing of ISIS in Raqqa and Mosul has neither brought about the demise of ISIS nor eliminated the ideological or militant threat of Salafi-jihadism. ISIS is still active in parts of Syria and Iraq, and a significant number of its members have joined other sister Salafi-jihadi organizations. Ministers are gathering next week in New York at the United Nations’ High Level Political Forum to discuss progress being made on the Sustainable Development Goals (SDG). The goals are intentionally inspirational; promises made by all countries to their citizens to improve the prospects for people, planet, and prosperity. In recent research, we have been examining the SDG targets that squarely focus on measurable improvements in people’s lives—to ensure no one is left behind. We wanted to understand how many people the world is currently on track to help by 2030, and how many people the world is on a path to leave behind. The research is still in progress, but we wanted to share some preliminary results, in advance of the U.N. discussions next week. A synopsis of key figures is available here. Why is America so bad at information wars? President Trump outraged European opinion by denouncing his allies on the far side of the Atlantic for their failure to meet NATO’s spending target of 2% of GDP. Other alliance members, he added, should spend 4% of their output on defense, just like America does. His dudgeon at the Europeans was more than justified: the Europeans really are deadbeats who don’t pay their fair share of the cost of defending their own countries and leave the burden in the hands of American soldiers and taxpayers. Expectations were low heading into the Helsinki summit, but the United States and Russia still managed to sail their listing bilateral ship directly into the rocks of the Russian cyber-meddling controversy. Repairing the damage will be difficult during the Trump presidency. The chief challenge the two countries now face is not normalizing relations, but preventing tensions from spiraling disastrously out of control. The political formula for getting past the cyber controversy had long been obvious: Russia and America agree to disagree over Russian electoral meddling, Washington imposes targeted sanctions incentivizing good behavior, and the two presidents task their governments with laying out ground rules limiting future interference in domestic affairs. President Putin played his part in that awkward dance, rejecting accusations that Russian state actors interfered in the 2016 election but tacitly acknowledging that non-state actors did, while suggesting that a U.S.-Russian cyber working group begin to establish rules of the game for cyber operations. But President Trump failed to use the opportunity afforded by Special Counsel Mueller’s recent indictments of GRU cyber operators to condemn Moscow’s actions unequivocally, choosing instead to voice doubts about whether Russia was involved at all. The U.S. commercial nuclear energy industry helps the U.S. government meet several key national security objectives. But the industry is struggling to survive. We are not the first to say this and we will not be the last. We are also not the first to call for U.S. government support for this struggling industry—but this call to action is different. We are urging U.S. government action—not with the focus of protecting the commercial sector, but with a focus to protect U.S. government interests impacted by the decline in the commercial nuclear energy sector. This is a key distinction and warrants attention at the highest level of government. This paper is not intended for those in the nuclear energy industry. They know the issues. 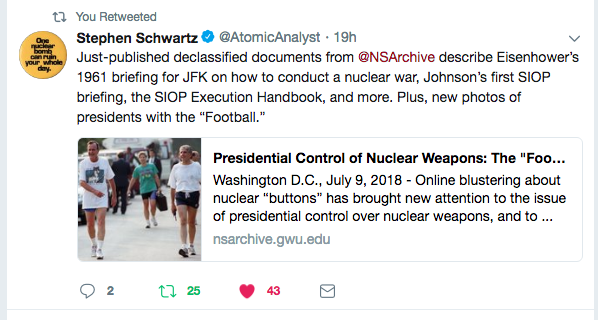 It is intended for the U.S. government and the U.S. public—to explain the reasons why U.S. government action is critical at this moment, and to explain how we can move forward in a manner that best protects our country’s national security. In its 2018 National Defense Strategy, released in January, the administration of U.S. President Donald Trump correctly identified great-power competitionas the United States’ central security challenge. In recent years, rival states such as China and Russia have increased their ability to project power and undermine the U.S.-led liberal international order, even as Washington has struggled to respond. Beijing and Moscow, moreover, share a vision of a global order more conducive to their own forms of authoritarian governance. As a result, today’s great-power competition is a contest not just of nations but of political systems. Thus far, the Trump administration has largely focused on great-power rivalry in terms of economic and military might. Its strategy documents have outlined the loss of the United States’ competitive military edge as other states have made major investments in new power projection technologies. Washington has used tariffs and other penalties in order to fight China’s mercantilist economic practices, while Congress and the administration have imposed sanctions on individual Russians accused of international transgressions. By and large, high-level summits don’t matter. Agendas are set weeks in advance. A series of agreements – mostly symbolic – are negotiated ahead of time, with documents ready to be signed. Private meetings usually involve several aides to help the leaders and to ensure that they stick to the script. President Donald Trump approaches summits differently from his predecessors. Rather than months of preparation at lower levels, he enters meetings prepared to improvise. He has been deeply criticized for this approach, particularly by those officials who would normally be called upon to prepare for meetings, but it isn’t clear that the old method worked. It tended to minimize gaffes, but it also homogenized the meetings, tying the hands of the president – who was elected, after all, whereas the minions were appointed. Trump’s desire to be free to interact and deal is not inherently a bad idea, as it would turn summits into authentic meetings, but the complexities of domestic and foreign politics require discipline. The European Union has played a complementary role to that of the United States over many issues in the Middle East and North Africa (MENA), including the relationship with the Islamic Republic and the Iranian nuclear programme. The 2015 nuclear deal, which would not have been possible without US support, has so far been the main foreign policy success for the EU. Beyond the deal’s economic and security benefits and the moral obligations involved, therefore, the EU has vital political interests in keeping the deal alive and ensuring it is implemented. For Iran, the nuclear deal means that it could avoid war and preserve the regime – despite domestic economic and public concerns – while maintaining its right to use nuclear energy for civilian purposes, a symbol of modernity and regional power status. With the deal, the EU and its UN Security Council (UNSC) permanent members (the United Kingdom and France), plus Germany, have been – successfully from the Iranian point of view – distanced from the United States. The director of strategic operational planning at the National Counterterrorism Center discusses the general state of U.S. CT efforts, the persistence of the threat, and the need to focus on nonkinetic prevention methods. On July 10, The Washington Institute hosted a Policy Forum with Michael Nagata as part of its long-running Counterterrorism Lecture Series. Nagata has served as director of strategic operational planning at the National Counterterrorism Center since May 2016. Previously, he was Commander, Special Operations Command Central (SOCCENT), and participated in the first two years of combat operations against the Islamic State. The following are his prepared remarks. The EU knows that a cyber war is happening, but not how to fight it. To be up to speed, the bloc needs to update its cyber security plans. The EU’s cyber security plans have been in the spotlight since a series of high profile cyber attacks hit Europe in 2017. But very few people understand what a cyber war really is, how to fight cyber crime and what role, if any, the EU has in all this. Europe’s cyber security strategy covers two things: cyber crime, such as online fraud; and cyber attacks, for instance hacking into a nuclear plant. Cyber crime is lucrative, and is expanding rapidly. Cyber attacks have become one of the weapons of choice of governments and criminal organisations around the world. Both cyber threats can come from state and non-state actors. The EU has been good at dealing with cyber crime, by doing what it does best: passing laws. But Europe’s ability to prevent and respond to cyber attacks lags behind the offensive cyber capabilities of adversaries like Russia and North Korea. Today, the Center for European Policy (CEPA) releases its latest analytical report: “Securing The Suwałki Corridor: Strategy, Statecraft, Deterrence, and Defense.” Conducted under the auspices of CEPA Pershing Chair in Strategic Studies LTG (Ret.) Ben Hodges, the report offers the most comprehensive analysis yet published on the Suwałki Corridor problem-set and presents actionable recommendations for both transatlantic policymakers and frontline practitioners. The Suwałki Corridor, a 65-kilometer wide stretch of land between Belarus and Kaliningrad, is some of the most important territory within NATO’s borders. It is NATO’s physical link between the Baltic littoral to the north and the European plain to the south, containing only two narrow highways and one railway line. If Russian forces ever threatened the free movement of NATO personnel and equipment through it, land reinforcement of the Baltic States would be exceptionally difficult, and NATO’s credibility as a security guarantor could be seriously undermined. How should NATO defend it? Manufacturing is enjoying a resurgence in the United States. After years of falling output and a diminishing percentage of the labor force, the last few years have seen renewed growth. According to PriceWaterhouseCoopers, the catalysts for this revival include factors such as the strengthening economy, workforce quality, tax policies, the regulatory environment, and transportation and energy costs. Yet in order to move forward, it is important to see how American manufacturing compares to that of other nations. In this report, we develop a global manufacturing scorecard that looks at five dimensions of the manufacturing environment: 1) overall policies and regulations; 2) tax policy; 3) energy, transportation, and health costs; 4) workforce quality; and 5) infrastructure and innovation. Israel has been facing incendiary kites and balloons for months along the Gaza border. A land device has been developed against terror tunnels, terror sea vessels have been blocked by a marine obstacle, and some method of countering terror balloons may also be found. At the same time, however, in the digital sphere, Hamas is trying to develop cyber capabilities that will enable it to attack Israeli civilians without having to encounter a physical barrier. In recent weeks, a series of attacks aimed at Israeli citizens and IDF soldiers has been revealed. These attacks, which bear the fingerprints of Hamas hackers, were neutralized, but it can be assumed that they are only the tip of the iceberg. They will probably recur, while utilizing far more technologically sophisticated means. Next time, they will be aimed at Israeli institutions and organizations, as well as civilians. As part of its ongoing Vault 7 leaks, the whistleblower organisation WikiLeaks today revealed about a CIA contractor responsible for analysing advanced malware and hacking techniques being used in the wild by cyber criminals. 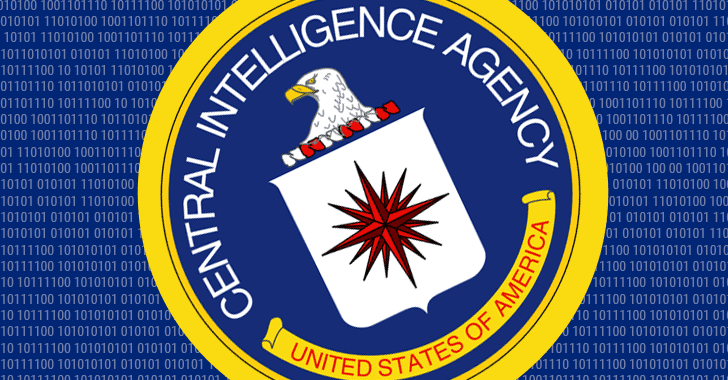 According to the documents leaked by WikiLeaks, Raytheon Blackbird Technologies, the Central Intelligence Agency (CIA) contractor, submitted nearly five such reports to CIA as part of UMBRAGE Component Library (UCL) project between November 2014 and September 2015. These reports contain brief analysis about proof-of-concept ideas and malware attack vectors — publically presented by security researchers and secretly developed by cyber espionage hacking groups. If killer robots are coming, many prominent artificial intelligence developers want no part in it. That’s the heart of a pledge, signed by over 160 AI-related companies and organizations, released to the public July 17 in Stockholm. The pledge is short, clocking in at under 300 words, and it has at its heart a simple, if somewhat unusual, promise: If violence is to be done, so be it, but life-ending decisions should be squarely the domain of humans, not machines. “Thousands of AI researchers agree that by removing the risk, attributability, and difficulty of taking human lives, lethal autonomous weapons could become powerful instruments of violence and oppression, especially when linked to surveillance and data systems,” reads the Lethal Autonomous Weapons Pledge the pledge in part. 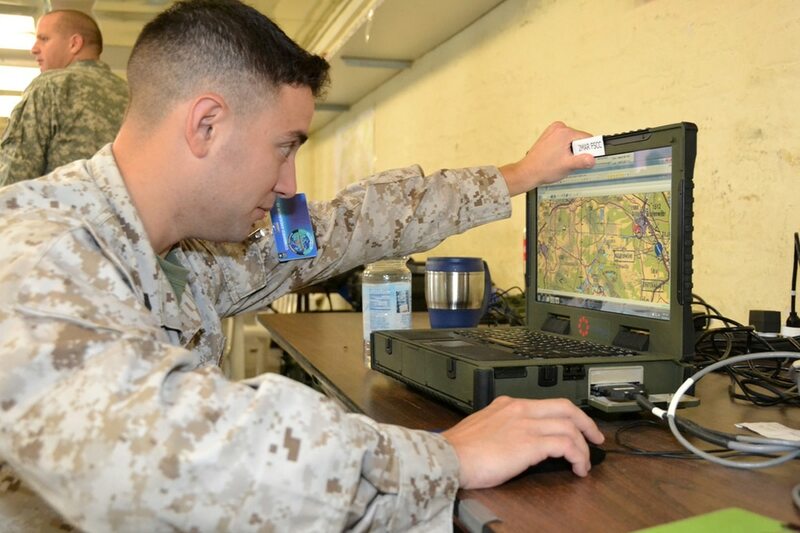 II Marine Information Group, or MIG, held an activation ceremony July 16 for the first-ever defensive cyber operations-internal defensive measures company, according to the group. These DCO-IDM companies, which will eventually be stood up within each MIG, are designed to help defend critical digital assets at the tip of the spear. According to a Marine Corps news release, the company will perform include mission assurance actively hunting for advanced persistent threats that evade routine security measures. The idea of humans controlling machines with their minds has spun off sci-fi blockbusters like “Pacific Rim” and entire subgenres of foreign film, but while today skyscraper-sized fighting robots exist only on the big screen, the Pentagon is building technology that could one day make them a reality. Today, the Defense Advanced Research Projects Agency is selecting teams to develop a “neural interface” that would both allow troops to connect to military systems using their brainwaves and let those systems transmit back information directly to users’ brains. The Next-Generation Non-Surgical Neurotechnology, or N3, program aims to combine the speed and processing power of computers with humans’ ability to adapt to complex situations, DARPA said. In other words, the technology would let people control, feel and interact with a remote machine as though it were a part of their own body.